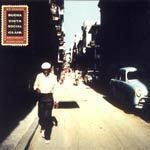 The original Cuban classic, stretching the boundaries of world music and western guitar idioms. 'Buena Vista Social Club' is the original Cuban classic featuring Compay Segundo, Ruben Gonzalez and a host of talented friends. A hugely enjoyable listening experience - essential!!! "Guitarist supremo Ry Cooder travelled to Havana, Cuba in 1996 to record his latest album with an obscure group of Cuban veterans. Like his earlier albums with Indian musician VM Bhatt and Grammy winning recordings with Ali Farke Toure, Ry again stretches the boundaries of western guitar idioms. Helping Ry out on his journey of discovery is 89 year old Cuban legend Compay Segundo, who started singing and playing in the early 20's and later invented the armonico - a seven stringed guitar with a doubled g.string [!] Thanks to the trade embargo, much of this cuban jazz has remained unheard by the outside world for decades and, as Ry says, it's never been destroyed by commercialization. Songs on the album range in style from bolero and guarachi to descarga, the Cuban style jam. Buena Vista Social Club was recorded inside at a rundown studio built in the 40's and used by Nat King Cole and Cab Calloway before the 59 revolution. Though totally antiquated, Cooder described it as the best studio he's recorded in and describes the album as the 'greatest musical experience of my life.' Who are we to argue with the guitar man?" Y Tu Que Has Hecho?